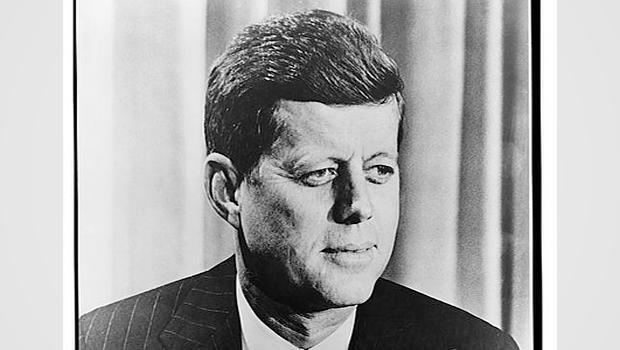 The National Archives and Records Administration on Friday afternoon released hundreds more documents related to the assassination of former President John F. Kennedy. This latest batch of 676 records could yield more interesting results than last week's release, as they are the ones intelligence agencies requested more time to review, citing national security concerns. President Trump urged the release of all remaining JFK documents last week. The majority of records from Friday's batch — 553 of them — are from the Central Intelligence Agency (CIA). Those records were previously denied in their entirety, according to NARA. It's unclear when the next batch of documents will be released, although Mr. Trump has given a hard deadline of six moths from last week for the release of all documents. On Sept. 27, 1963, Lee Harvey Oswald called the Soviet embassy in search of a visa to visit Odessa, according to the files. Eventually, the Soviet Embassy says they have received no answer from Washington, and such a request will take four to five months. Oswald says he belongs to a pro-Cuban organization and can't get a Cuban visa without first getting a Russian visa. The next day, Sept. 28, 1963, Oswald calls the Soviet embassy to ask for news from Washington. Roofer told resident after JFK assassination: "I'm the man"
The Pentagon received a letter from a Betty Joe Dodge of Lubbock, Texas, in September 1978. The letter, addressed to General Westmoreland, noted that an ex-Green Baret named Robert H. Doty had stayed in Dodge's home that summer while he worked as a roofer. On the evening the assassination news was reported, he seemed uneasy, Dodge said. When Dodge asked what difference it made, Doty told her, "I'm the man." "I was afraid to ask any questions," Dodge wrote. "I could never tell whether he was testing my reaction to a wild statement or actually telling me the truth." One U.S. official, Thomas B. Casasin, recalls that he thought Oswald's behavior struck him as "odd" and "unusual" after reading a dispatch on him following Oswald's return to the United States from the USSR. The official told his subordinates something along the lines of, "Don't push too hard to get the information we need, because this individual looks odd." The official remembers being particularly interested in what Oswald could provide on the Minsk factory where he had been employed.